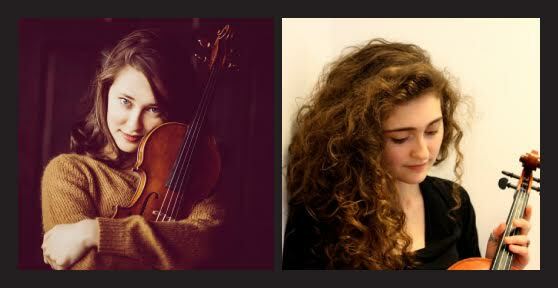 Maybeck Studio: Klein Competition Laureates: Violinists Lauren Siess and Ariel Horowitz - SOLD OUT! Klein Competition Laureates: Violinists Lauren Siess and Ariel Horowitz - SOLD OUT! We're delighted to feature more Klein Competition laureates at the wonderful Maybeck Studio for the Performing Arts. This duo of Juilliard undergradates – violinist Ariel Horowitz (Klein 4th Prize 2015) and violist Lauren Siess (Klein Semifinalist 2014) – shares a passion for music of the present. This special recital tour of the Bay Area, Portland and Ashland, OR, Washington, D.C., and New York City will feature a commissioned work for violin and viola by Joel Phillip Friedman, and the Berkeley performance will be the world premiere! Their program also includes works by twentieth and twenty-first century composers Benedikt Brydern, Bela Bartók, and Joan Tower.